Our mission is to unravel the genetic architecture of PTSD through GWAS of diagnostic and behavioral phenotypes, neuroimaging phenotypes, epigenetics, gene expression and systems biology approaches. We conducted the first PTSD GWAS meta-analysis through the PTSD group of the Psychiatric Genomics Consortium (PGC). The PTSD group was formed in 2013, which grew out of the PGC that started in 2007 to conduct field-wide mega-analyses of individual data for ADHD, autism, bipolar disorder, major depression, and schizophrenia. 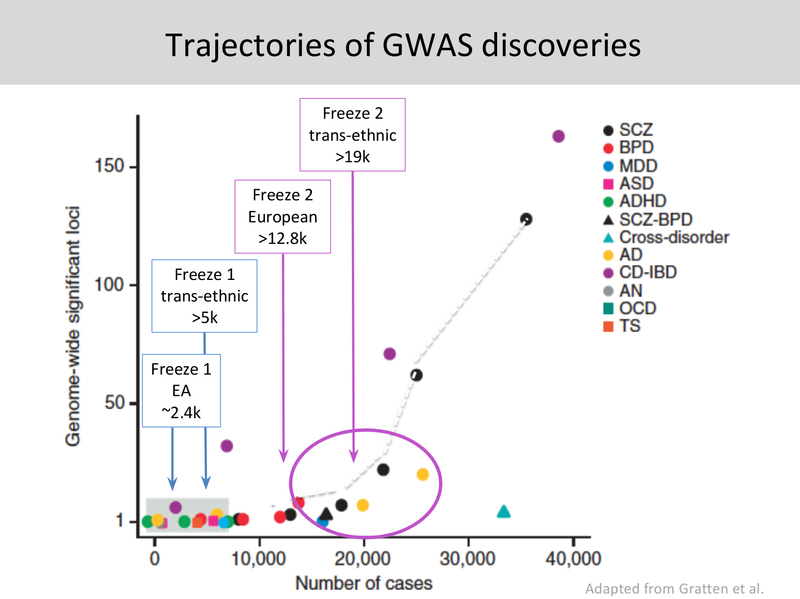 The PGC, which united the field for the first time as an enormous consortium (500+ scientists from 80+ institutions in 25 countries), has already produced several major findings of genetic architecture for psychiatric disorders. The PGC-PTSD has over 72,000 samples consisting of nearly 20,000 cases and 52,000 controls. The PGC-PTSD samples have more ancestral diversity than the other PGC disorders, bringing added value and additional samples to the overall PGC and cross-disorders analyses.